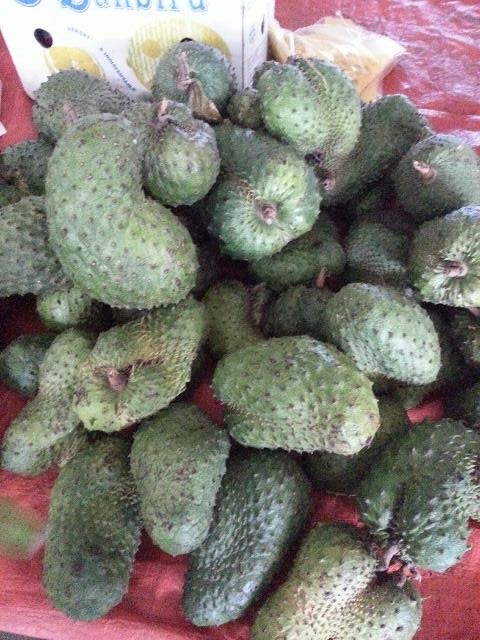 I bought 2 fruits from this batch of soursop from the Tamu. One for my father, the other one for our own consumption. 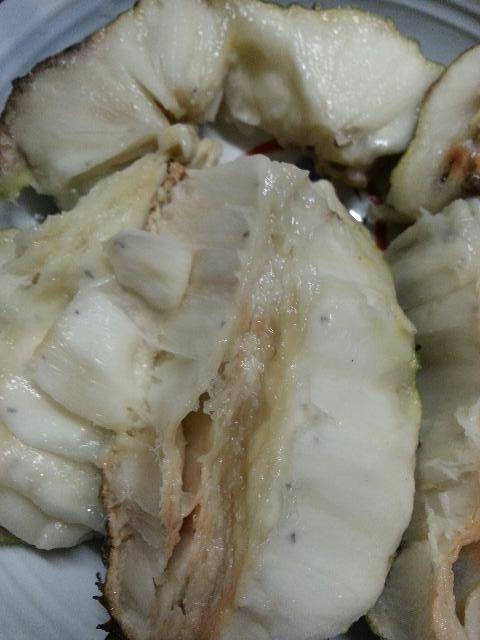 Most of the soursop fruits are sold in Tamu market places, hard to find them in the supermarkets. The fruits were still not ripen yet when I bought them. 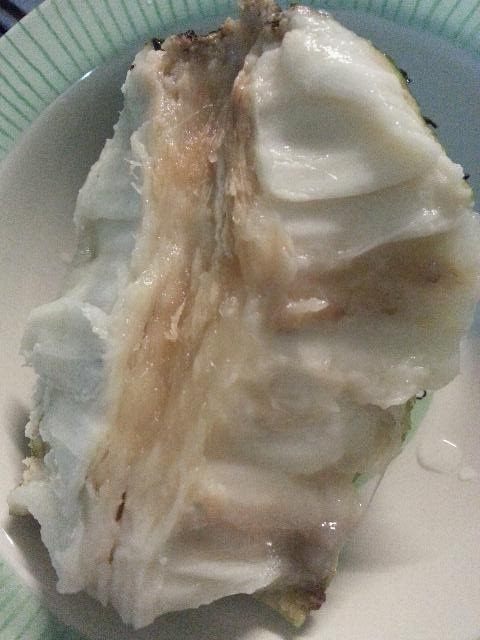 It was overripe when we checked on it after 3 days. We quickly placed it into the fridge. My better half and our girls like their fruits cold. Soursop is a not a nice looking fruit, it has thorns all around the fruit but they won't hurt much when you touch them. The flesh is soft and creamy, that's why it is also called Custard Apple. Not many people like its sweet and sour taste. My girls will take a bite or two if it is served cold. there are seeds wrapped inside the flesh. 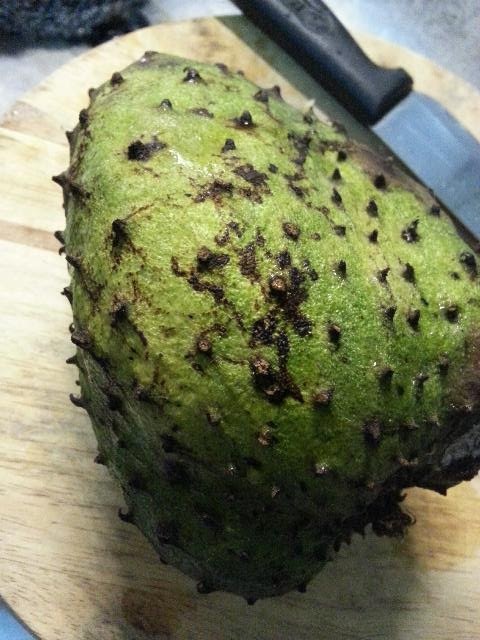 Soursop can be made into juices, and also into soup. 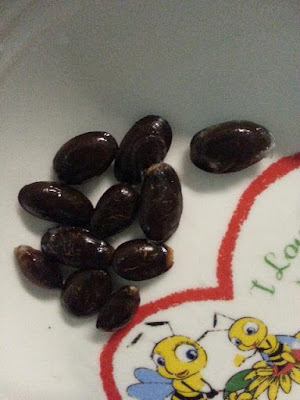 It contains Vitamin C, B, thiamin, riboflavin, naicin, calcium, phosphorus and small amount of iron, There are many health benefits can be obtained by consuming this fruit. I bought one fruit too and it costs me RM12 each. The size is just 7 inches length. I have bought it over 2 weeks ago and it is still hard as the seller told me to eat when it turns soft. I also bought a soup sop over the weekend and make juice out of it. Very good Vitamin fruit. Sour sop is very expensive here. I love to eat ripe sour sop and I love the juice too! Here I am and you cause me to have rindu sekali! Such fond memories of living and working on the island of Java for some three years. LOVE all the tropical fruits and the entire Indonesian food; wish we had that daily here. But that's not, unless I prepare it myself. I have never seen that fruits.That is tropical fruits? Interesting to see how the soft and creamy fruit can be cooked! Thank you for your visit. Hi Agnes, I had never heard of this fruit, so you taught me something new. Thank you so much for sharing! There's a place at velodrom KL that sells this juice! Fascinating! Never seen this before. I'm very curious about the taste! Thank you for nice comment on my blog. 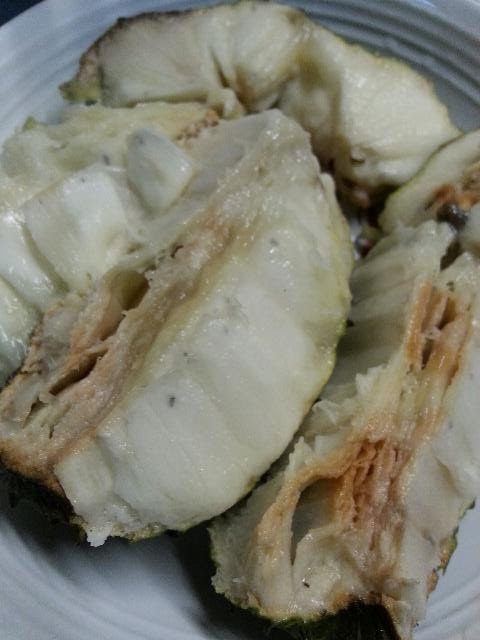 I haven't had soursop for years. I've never seen them in Sydney before. Suddenly craving a bite!